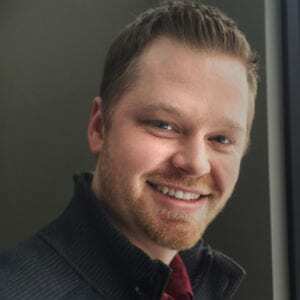 Nick Hall is founder and chief communicator for PULSE, an evangelistic movement that started with a paper he wrote for an English class at North Dakota State. Since founding PULSE he has become president and CEO of the Mission America Coalition and is part of the student advisory team for the Billy Graham Association. His passion is to reach the next generation with the message of the gospel through evangelistic crusades, cutting-edge online discipleship tools and a growing network of evangelists and local churches who share the passion of PULSE. We caught up with Nick to discuss his path to becoming an evangelist, the state of evangelism in the American church and his vision for reaching an increasingly post-Christian culture. Yeah, you know I was just a kid. I don’t even know that it was developing a passion. It was just the second I knew Jesus I wanted to tell everybody. You know, I kind of jokingly tell people I had to go to church to learn not to share my faith. Yeah, so I prayed with my mom when I was probably like four or five. I mean I wasn’t even in kindergarten yet. And I was just curious about heaven and hell and death and Jesus and what’s the big deal, and I understood it enough to know that everybody need to know Jesus. And so from as early as I can remember I was telling everybody about Jesus. Everybody on my baseball team, kids I was riding bikes with, kids around the neighborhood, even adults. I used to love basketball so I wanted to be like Michael Jordan. I would write letters to him, and every letter I would try to lead him to Christ—as a little boy. So I would say that that was kind of my DNA all the way through, probably until like early middle school when I kind of realized it’s not cool to do this. And not only not cool, but nobody’s doing it. So then I tried to stop for just a little bit. But then I just couldn’t keep it in. So I remember there was a conference I went to when I was about 14, and I was a leader—my youth pastor even started to have me preach in our youth group. So, I was at a SEMP (Students Equipped to Minister to Peers) Conference at Wheaton College. I remember going to the Billy Graham Center Museum there, and that was probably the first time I was like, Man, I want to do this with my life—tell people about Jesus. So how did your vision for PULSE, specifically, develop? Yeah, so fast-forward a few years and I went off to college. I was going to study international business and play basketball. At that point I kind of knew that there was a calling on my life for evangelism, but I didn’t really know what that meant. I mean, how do you really pursue that vocation? You know, there’s not really like degree programs or even a career path to do that. But I also was really wrestling between normal teenage stuff: sports, girls, making money. And I liked nice cars. So anyway I went off to college and God invaded my life when I was 18 or 19. I was at Northwestern, which is where Billy Graham was president for a year in Minneapolis. Within the first month on campus, I was having visions, and it was a really weird deal, because I didn’t come from a Pentecostal background. But I was having these heavy dreams and visions. I would wake up in the middle of the night, and I can’t describe it. God was just after my life in a way I had never known before. After a few months I ended up fasting for the first time in my life. And out of this fast, like three or four days in, God spoke that I was supposed to spend my life preaching the gospel. And with that came this statement, almost a tagline for my life, and it was, My life exists to put Christ at the pulse of a generation. All of a sudden I had this vision and clarity in my life. I quit the basketball team and started to try to go after these things. And then within a few weeks of that, I had a friend of mine call me and ask me to go to India with him, with the Luis Palau team. So, if I can back up two years before that, Luis Palau had come to North Dakota, where I lived before college, and had put on this big event. And I actually went one night, but honestly, I thought it wasn’t for me. I was not interested. I remember thinking it was kind of cheesy. But people were excited, and my youth pastor really got fired up because of it. He got so fired up that he ended up quitting our church and going to work with Luis Palau as a worship leader for them. So then, picking up my story, it was my former youth pastor calling me saying, “You need to come to India with me. Your call is as an evangelist. These evangelists are going.” So anyway, through a weird series of events I ended up going to India. And this was kind of the launch of the Luis Palau organization’s Next Generation Alliance. Twelve evangelistic teams came together in Southern India. Tim Robnett (who at the time was the leader of NGA) said, “We have two purposes for NGA: One, is to partner evangelists together to do more than we can do on our own, and two, is to raise up the next generation—and Nick is here.” So, from the very beginning I was almost like the poster child for what they wanted to see in the future. Do you think there’s an evangelist personality? Oh, for sure. For sure. [Laughs] No, I mean, I think that the greatest evangelists are winsome, and you know, can sell anything. You know, I think they would be your salespeople, they would be your marketing people if you were in a corporation—in the best sense. In the worst sense, an attacky used car salesman with a plaid jacket on. You know we’d hope to be the better version. But anyway, that just became an interesting deal. So then afterwards all these guys were putting me on their stage. So I would say I was getting years of relationships within a series of weeks. And then it wasn’t a month later that the Billy Graham team hosted a gathering at the Cove. There was a thing, at the time, called the Proclamation Evangelism Network, launched under the U.S. Lausanne Committee. And so they had their first gathering at the Cove. So it was now about 300 evangelists at the Cove in Asheville, North Carolina. So I was in this really interesting place at a very young age to be partnered with both organizations. I’ve MC’d events for both the Billy Graham team and the Luis Palau team. I’ve traveled and spoken for both of organizations around the world. I’ve really been trained and mentored under both organizations. And that, I would say, really launched PULSE. In 2004, I had transferred to North Dakota State and I wrote a paper in my English class titled “Pulse.” The actual organization of PULSE was launched through that English paper. We were really praying for revival on our campus. There was substance abuse. There was all kinds of brokenness, and I wrote this paper that was a vision of seeing God move. But in essence, it was taking the model of Billy Graham, which had also been taken by Luis Palau, and it was adapting it to say what does it look like to reach an 18-year-old kid, a millennial? So that’s kind of how we started. Last year you were named the CEO of the Mission America Coalition. How do you feel that ties in with PULSE? Well it’s just kind of full-circle, right? When I started traveling with the Billy Graham team, I’m learning under these guys. I was a part of this Proclamation Evangelism Network which was started under the U.S. Lausanne Committee. U.S. Lausanne Mission America was launched with a heart to see unity and collaboration for the gospel. I’ve been on the board of the U.S. Lausanne Committee for the past six or seven years, and then I was a part of planning the global Young Leaders Gathering that just happened two years ago in Jakarta. So, for the last 15 or so years I’ve been around the world with this single-mindedness of wanting to see a generation know Jesus. Part of that is to see the church equip and engage people through the process of evangelism. That’s the key: The role of the evangelist I see, more than preaching, is that Ephesians 4 mandate of equipping the saints to do the work. In its purest form when the evangelist is fulfilling his or her calling, it is mobilizing the body to get out of the walls. Inevitably—and this happens the bigger anything becomes—the bigger a church becomes, the bigger an organization becomes, the more inward focused it becomes. Because it has to. It’s too big. And it has plenty to do on its own. Why would you partner with anybody else when you can do it all? But God has designed it so that we cannot be effective reaching a city, reaching a nation, if we are not willing to get outside of ourselves. And I think one of the roles of the evangelist is to get the church focused on something bigger than any of us can do alone. Because I think, honestly, our vision is just too small. We’re too content with little “c” church wins when there’s a lot of big “C” Church losses. So when they asked me to take the position I was reluctant. But at the same time I really felt a sense of calling, because the role of the evangelist is missing in the church. It’s no different than a baseball team would be. If you’re going against another baseball team, and every team you go against is hitting really, really well, and you just can’t get them to stop hitting, you’d be like Well, there’s a position called a pitcher. You know? There are some people gifted of God to throw really, really fast. And so, if the other team is hitting really, really well then you might want to look at your pitching rotation. You’re looking at the most Bible illiterate and unchurched generation in history—a generation that is walking away from the church—and one of the really simple reasons why is because the church isn’t utilizing the gift of the evangelist. And I don’t even mean doing more crusades or more events, I just mean if the leadership team at your local church level does not have somebody who eats, sleeps and breathes for the lost, then your church is inevitably going to be inward focused. It’s really easy to celebrate aquarium fishing and not really have true conversions taking place. So the U.S. Lausanne Mission America, which we’re rebranding as the Table Coalition, will have the tagline Gospel relationships in action—the idea of Jesus gathering his followers at a table to go out and change the world. We want to see the church coming together in all of her beauty, in all of her diversity, to reach the nations. We want to see the whole church bringing the whole gospel to the whole of our country, and to have some God-sized goals to see things change. So, pivoting a little, the Next Generation Alliance played a part in your discipleship and development. Could you speak to how the Next Generation Alliance helped launch you and disciple you? Yeah, for sure. I would say that the Billy Graham team and the Luis Palau team have both played a very significant role in that if I hadn’t had those two organizations I would have kind of been an orphan. It wasn’t until I got around those organizations that I really felt a sense of identity. I just perpetually felt weird. I was always the one in every church meeting who would share some idea about people coming to Christ, or some urgent need, and they would just look at me with glazed eyes like I was just a nut job. Which I was. You know, I am crazy. But when I got around the Palau team and I got around the Graham team, I could just see that there are people who believe in that calling. And that there is a way to see this calling serve the body of Christ. Tim Robnett, in particular. All the young people in NGA would call him “coach.” And he was a coach. He loved you. He was a pastor for evangelists, and a champion for helping think through how do you go after this and how do you do this, and then praying through it. I was and still am one of the youngest guys by a ways, and there really is a massive need to rally those who are younger. That’s kind of why I love Jordan Whitmer, in particular. And then there are some other guys and gals that I’m trying to mentor. But there really is a big age gap between organizations and efforts. I mean there’s a 50-year gap between some of the things that are going on and the need for fresh expressions to rise up. How have you been able to mentor and disciple younger evangelists? I’m always having two to three guys and gals that I’m pouring into, and trying to create opportunities for. I’m passionate about discipleship and mentoring. And I think every believer needs to always be looking for those who are coming after us. So, I’m always looking for those who have that passion, that same calling. And then our organization is trying to be a place where we can bring people in and give them the opportunity to learn the ropes. We have a culture at PULSE of trying to bring in younger: college-age, teenagers, anybody who’s out there doing it, grinding it out, trying to work toward unity and collaboration. We are desiring to be a place for them to learn, to grow and to thrive. Jordan Whitmer and the #HowToLife movement share a lot of DNA with PULSE. What do you think is driving that kind of peer-to-peer model that’s starting to emerge in evangelism circles? I think Jordan is unique in that he’s really an organizer. Luis (Palau) used to say that some evangelists are kind of charismatic and some are more administrative or organizational. And he used to say that about me, that I was kind of an evangelist organizer. I could rally people toward the cause and then see it through. And I see that in Jordan. I think he really has a passion to rally young people to reach their friends and to share the gospel. And to have students get on the platform and share their faith. I think it’s a really great way to do it. Campus Crusade (Cru) does something kind of similar. They do big campaigns called “I Agree With” campaigns. That’s really just a grassroots movement at the university level that’s somewhat similar to #HowToLife in that it stirs up all this attention around somebody, and then that somebody ends up sharing their testimony. And so you see this huge campaign surrounding “I agree with Chad” and then there are shirts all over. And people are like: Who is Chad? I mean, what is going on? And then it’s like, Wednesday, October whatever, come hear Chad’s story. And then that’s where the gospel is shared. So I really see Jordan doing that for high schools and for students. And there are others as well. I just think we need an army. So that’s another thing that I’ve really been thinking and praying toward: trying to model generosity, that we need each other. I think the same thing that happens in a church can happen within evangelistic ministries, when you start to feel like you’re in competition. And we’re not. Within our team we’ll say our competition is not the Luis Palau team or the Billy Graham team or the biggest church. Our competition is any brand that is trying to capture the imagination of this generation. So our competition is Coca-Cola or Budweiser or the car company more than it is megachurch A. The Devil wants to come in, no matter what ministry we’re a part of, or church organization, and get us to think that somehow their win is my loss. And I just think that is super counterproductive thinking. And so whether it’s guys like Jordan or other organizations, having that kind of open-handed mentality is really what we’ve seen God bless. How have the needs of culture shaped evangelism methods? It seems like evangelism is shifting more toward personal stories and testimonies and social media driven evangelism, whereas it used to be more of a crusade model. It feels like it’s a lot more grassroots now. You’re right, I think there used to be a celebrity draw of a personality. I think that is still there. I think it probably has switched a little bit from the preacher to the artist. I think we live in the age of the artist more than we live in the age of the preacher. I do think there still is authority. Here’s how I would answer that. I would say that No. 1 the arena of our day probably is digital as much as it is anything else. However, I would say that the events and the crusades still have relevance and are as needed now as ever. You know, we recently had 752 churches come together here in Minneapolis, and we filled the stadium. We had 50,000 people come out and 9,000 people come to Christ. So I would just say, I think it’s easy for people to say the big event doesn’t work. I think it’s easier to say that than to say we’re really bad at putting on big events. Because the big event is working very well for Beyoncé and Justin Bieber and Donald Trump and any other public figure you want to pick. So I think that big events and big gatherings are still places where culture is shaped. They’re still places where ideas are shared. They’re still places where massive brands are spending hundreds of millions of dollars to be on those platforms because all of those places speak to something about the human experience. The difference between now and then is that the way to the big event has to be through the grassroots. It has to be about a movement far more than it is about a moment. So I think there is a lot more of a campaign mentality and a mobilization mentality. For instance, at our events people respond to the gospel by text message. And a lot of discipleship happens through social media groups. Tons of the promotion is through Facebook, Instagram and whatever other ads. So I just think it’s not an either/or, it’s a both/and. We’re building out a huge discipleship platform that’s all online. It’s driving people to meet face-to-face, but it’s a digital back end system that allows us to have metrics, numbers, measurements, all of these things. So it’s leveraging all of it. But at the end of the day, we all want a live experience face-to-face with somebody to get discipled, to be engaged. So, the big event isn’t quite there, but it’s closer than the online is. Because the goal is to go from online to something live and then from something live, but big, to something ultimately really small. It’s kind of like stepping stones to get people to land in a local church. That’s the goal of all of it. In a time when a majority of believers aren’t sharing their faith, and in a time when we’ve come to be defined very much by politics or negative sound bytes, there is something really life-giving about a city mobilized or a campus mobilized around a Jesus campaign. It really points to the North Star. It reminds everybody who is in charge and that our hope is in heaven. It reminds everybody that we have a message to share. We trained 10,000 people in Minneapolis to share their faith, and countless believers are having conversations. Again, all that happened because of the buzz, because of the campaign and because of the event. The event is far less about the event than it is about the movement. Even my story is evidence of that. My life was changed because Luis Palau came to North Dakota. And I didn’t even like the event, you know? The only statistic I show up on is an attendance number. I wasn’t trained. I didn’t respond to the gospel. But because Luis came to North Dakota, my church was impacted. Because my church was impacted, my youth pastor caught fire, and because my youth pastor caught fire I was challenged to be an evangelist. I’m sure God could have used some other vehicle, but for me that was the story of how I ended up doing this. And now I’ve shared the gospel with five million young people and we’ve seen 700,000 publicly respond. You know, that’s just one seed, and that just keeps going on and on and on. That’s what the gospel is about: multiplication. So, a lot of people in the local church are hesitant or scared to share their faith. What would you tell them? I just think the conversation needs to be reframed. When we think of sharing our faith we think of judgmental, we think of imposing my religion on somebody else. I think it’s either you love Jesus or you don’t love Jesus. Either you’re excited about your faith or you’re not. And to be honest, if you don’t love Jesus and you’re not excited about your faith, then you probably don’t have a faith. I would very much say that if you don’t share Jesus, you probably don’t know Jesus. Because if you know him, you have to share him. To know him and not share him is to not know him at all. If this is the greatest thing on earth; if this is death and life; if this is the light of the world; if this is clean water; if this is—you know, choose any biblical metaphor you want—if you are salt; if you are light … I just think the American church has become apathetic. And I think we’ve given each other the excuse to say, “Oh, that’s not me.” God asks us to follow him. The focus was never you. You’re supposed to die, and it’s like either the Holy Spirit is alive in me or he’s not. Because the Christian faith is not about trusting in yourself. It’s about putting your hope and trust in something bigger. Now that doesn’t mean you need to be a street preacher. That doesn’t mean you need to go and be weird. But it does mean that there are people in your life who need Jesus that you are God’s solution for. The first step is praying for people who need Jesus, and making that a daily discipline. So we call it “Keep 5.” The Billy Graham team called it “Operation Andrew.” Start with praying for five people every day. Put it on a note card. Pray for them every single day. Pray for them to know Jesus. Pray for opportunities. And when you pray for opportunities, God gives you opportunities. When you pray for the things that are on God’s heart, he puts them on our hearts. It’s not like, “Hey go tell everybody today.” Just start praying for them now. Make a commitment to do that, and then start to look for opportunities and God will open the door. At the end of the day, this isn’t about guilt and shame. This is about a love relationship. You can’t guilt people into doing anything—well, you can, but the results aren’t good and they don’t last. If you experience the heart and love of something that is so radical, you can’t keep that to yourself. How can the local church better discover, disciple, partner with and encourage evangelists? I think it’s looking for that five-fold ministry (from Eph. 4). I think it’s prioritizing. I just think of it like, man, if you want to reach your city, then use the gift that God gave the church to help you reach people. Start to use what God has given. Find people in your church who have a calling and gifting in evangelism. I think that every church should have an evangelist on their leadership team. When a church gets together and there’s not an evangelist there, that is not a church that’s going to be effective in evangelism. Evangelists have been part of the problem. I think evangelists have not liked the church, or have used the church. They haven’t had the posture of a servant. The church is God’s Plan A, there is no Plan B. So we exist to serve the bride. There’s no higher calling than to work with and for the local church. We probably need less itinerate evangelists and more evangelists who are working on church staffs. At the same time, I think the itinerate is great. Bring in people that are going to rile people up. Have evangelism training in your church. When is the last time your church did a training for people to share their faith? Do it on a Sunday. Is there a culture of challenging people to share their faith, to pray for their friends? Bring in somebody to train. Have that be a priority. Those are all ways. Be a part of a united effort. Try to do citywide efforts that are going to be missional focused. And not just missional service, but missional soul, seeing eternity as the endgame. It’s great that we care about justice and service, but the world does all that stuff really well. What makes us different is that we care about people’s eternity, and we’re willing to confront what is not popular, what is not comfortable, but is ultimately most important. What words of wisdom do you have for young, emerging leaders in the church like yourself? Pray a lot. Develop a discipline of fasting. Develop an intimacy with the Lord. And find people who are doing what you want to do and serve them well. I think if you’re faithful serving others in their dream, in their vision, God will elevate you and give you the chance to start to fulfill the dreams and visions that are in your heart. We have an instant gratification culture that wants it now, and I don’t think that’s the way it works in the kingdom. I think that God is looking for people willing to die to self, willing to put their hand to the plow. I would very much say the calling of the evangelist is not about being seen, and I think it gets twisted when that’s what it becomes about. The calling of the evangelist is to see the lost found. And the majority of evangelists, who probably will have the biggest mansions in heaven, are people that we will never know on earth. But God sees it. That’s why I think that delighting in the Lord and intimacy with the Lord matters, because it’s really easy to live for the crowd and lose sight of why you’re doing it at all. And then you’ve missed it completely. Read more of our evangelism coverage at OutreachMagazine.com/evangelism, and don’t miss our interview with Luis Palau in the upcoming July/August 2019 issue.